Curing an over the top swing plane leading to an in to out swing path and a SLICE!! 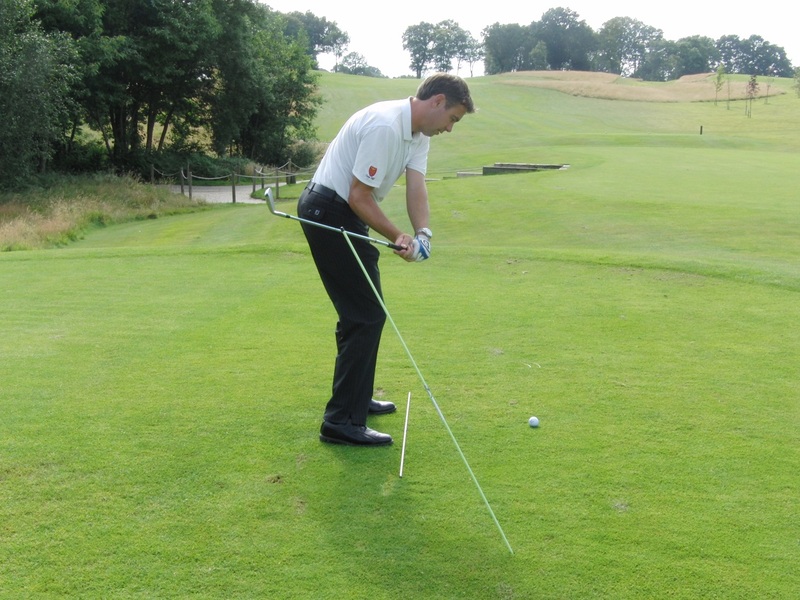 I have a 5 iron in my hands for this drill but you could use any club, the most important thing is to angle the cane in the ground at the correct angle for this drill to work. 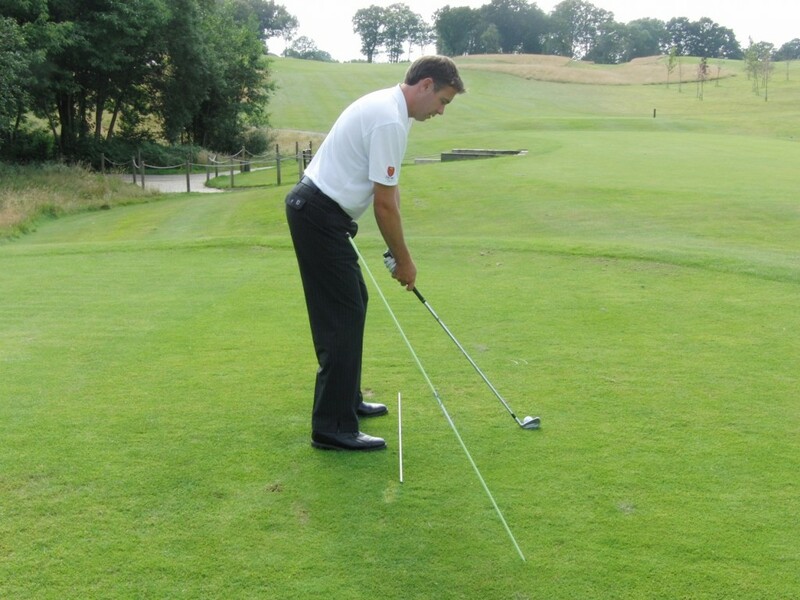 Place an alignment cane on the ground parallel to your target line. This ensures that you stand parallel to your target line. Take another cane and push it into the ground slightly inside the target line and a club length behind the ball, the cane should be on an angle on roughly 60 degrees for a 5 iron (see above picture). The top of the cane should be running through your pelvis as you look at it. 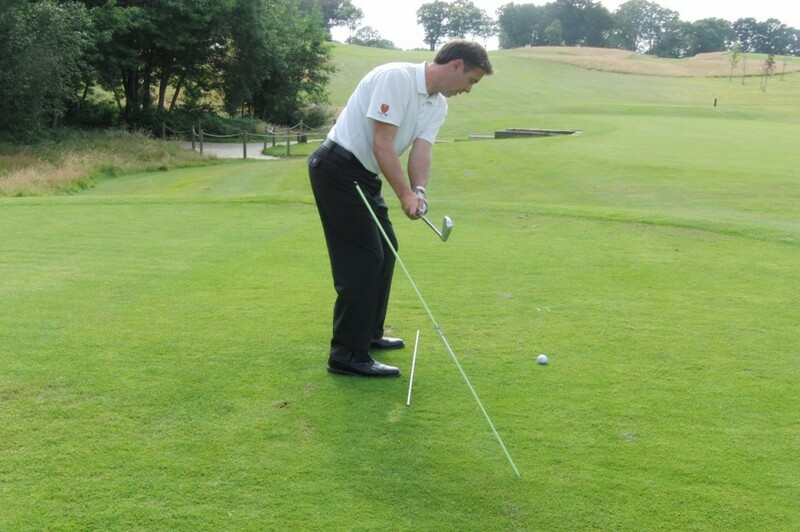 As you start your take away keep the club outside your hands and outside of the cane (see the above picture). 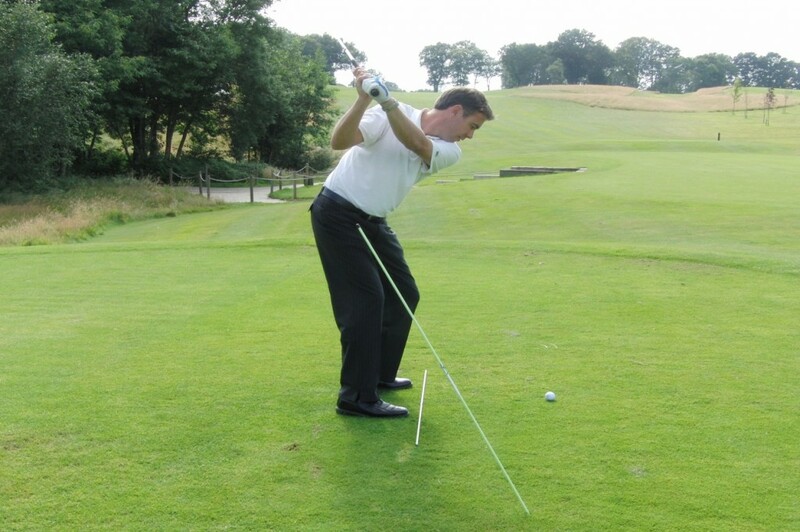 Swing up to your normal full backswing position, ensuring you have a good full 90 degree shoulder turn. All the focus is now to return the club back down on the path inside the cane (see the above picture) as this will create an inside attack on the golf ball producing a much straighter and more powerful ball flight. I hope you enjoyed the article, any comments or Questions then please leave a comment below. Until next time I wish you all the golfing success.